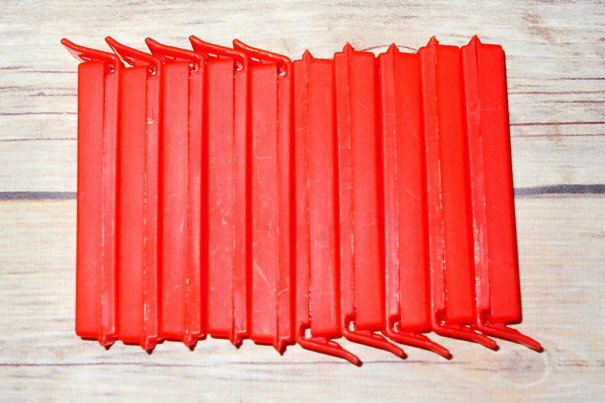 Pack of 10 red food bag storage clips. Approx 8cm. These are end lines so please be aware these items are not returnable.